I’m in the midst of moving an entire school library. It’s a job that I work on all day, think about all evening, and dream about all night. (I’m not kidding. Some of my most brilliant brainstorms happen during REM cycles.) Since this project is taking over my life, it only seems fitting that I write about it. I’ve decided to add a Construction Update section to our library website to document the process of our library’s renovation. 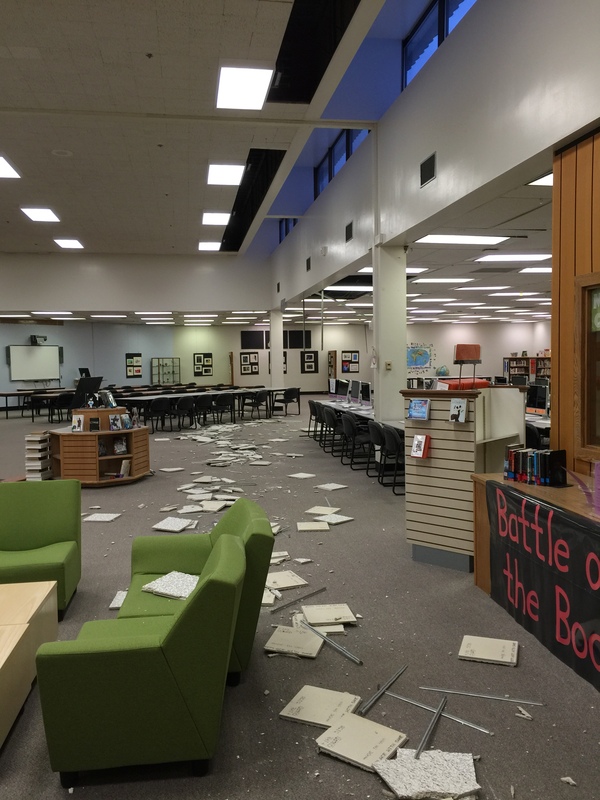 First, some background: West/Romig is the largest secondary school library in the state of Alaska. Our facility is shared by Romig Middle School (approximately 800 students in grades 7-8) and West High School (approximately 1800 students in grades 9-12). West and Romig are two of the oldest schools in Anchorage, and the library wing that connects the two campuses was built in 1972. 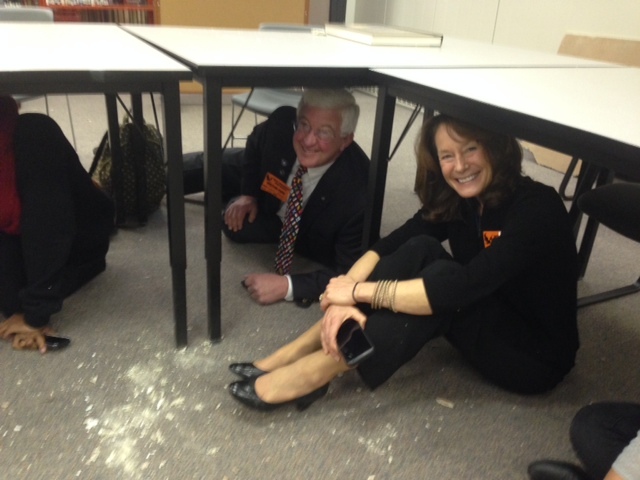 I’m no engineer, but this is what I’ve been told: In the event of an earthquake, West and Romig were built to hold their ground. They are cinder block solid. The library wing, on the other hand, was built to flex and sway with the motion. 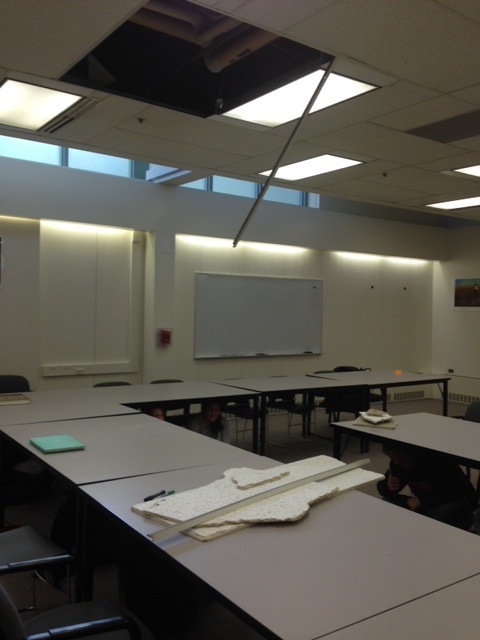 Clearly our ceiling and earthquakes don’t get along, so the ceiling tiles were all removed as a temporary fix. I know the industrial look is in vogue right now, but it wreaks havoc on a library’s acoustics. 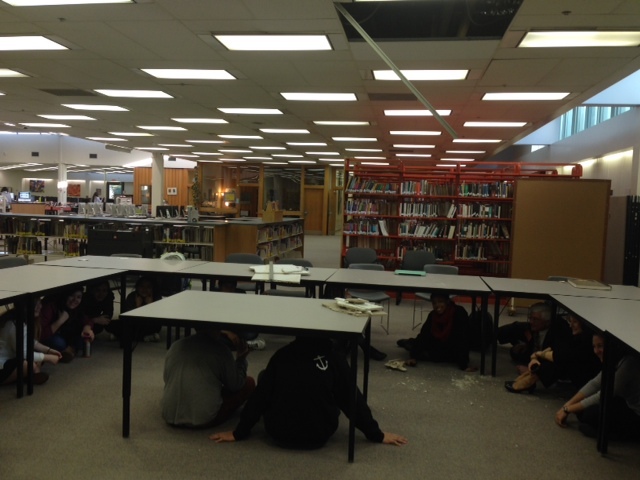 We used to accommodate four classes at a time, but without our ceiling tiles we serve half the students because the sound reverberates too much. 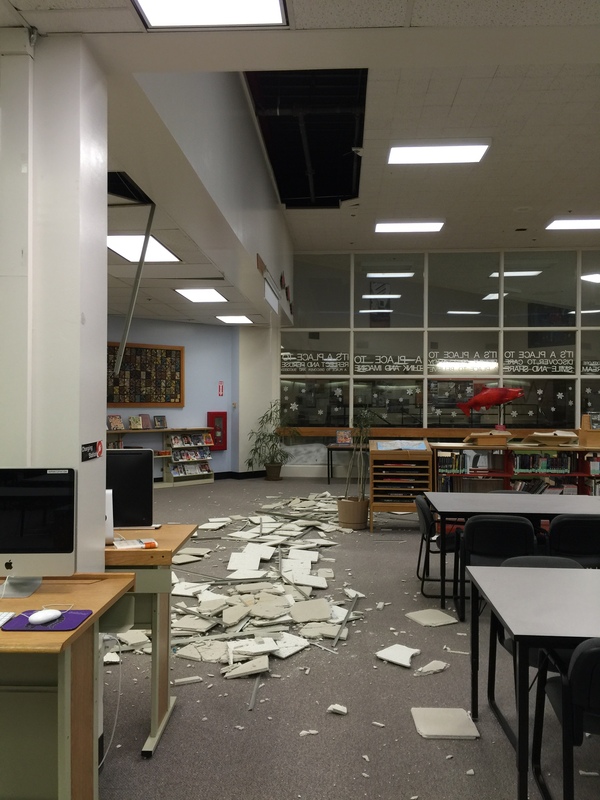 Other issues include fluorescent light diffusers dropping like flies, exposed vents interjecting into class discussions, and of course seismic safety concerns that need a permanent fix. 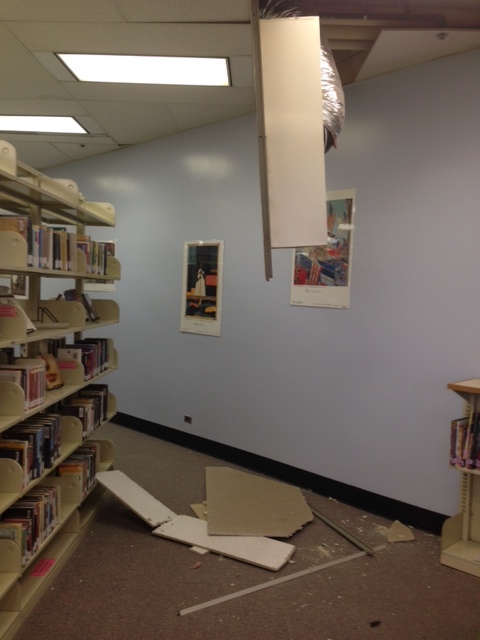 Thankfully, Anchorage voters agreed that our library needed a permanent safety fix. 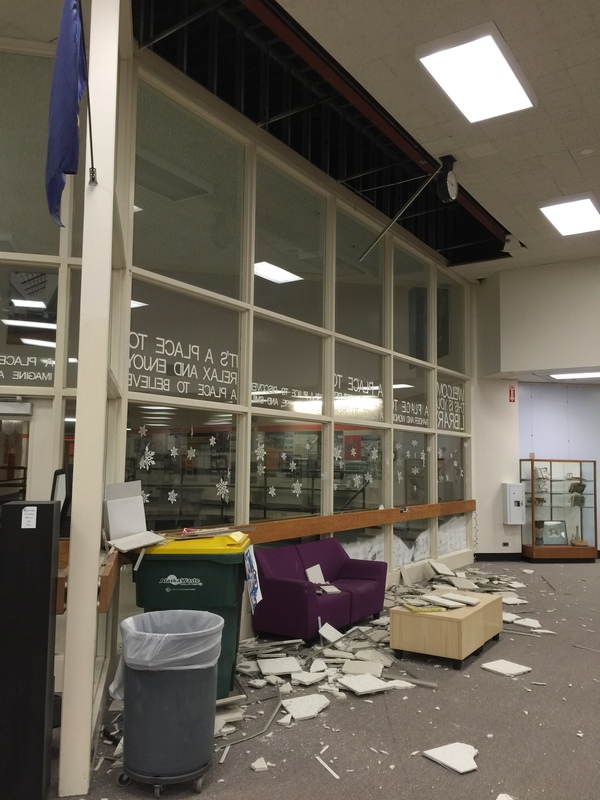 A school bond was passed in April 2017, and the seismic issues in our space are going to be fixed once and for all. The construction is estimated to take 11 months, which means we are movin’ on out. Everything has to go! We’re working on that part. Stay tuned!